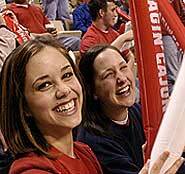 LAFAYETTE - More than 5,900 students were named to the University of Louisiana at Lafayette’s Spring 2005 Dean’s List. Please click one of these formats to view the list (PDF, TEXT, HTML). Students are listed according to parish.